By now, you have probably employed a mobile-friendly version of your website to meet user and search engine demands. You spent weeks or months on it, choosing the best color schemes and testing the responsive template again and again with your web developer. After all that hard work, imagine the surprise when you find out days later that your website is NOT converting. What’s happening? Isn’t responsive design the answer? Well, yes and no. Yes, because Google now includes mobile-friendliness as one of its ranking signals. This means that search results will prioritize mobile-friendly websites (along with other factors) to help users find more relevant content on the Web. No, because going mobile alone doesn’t turn views into sales. Just like Google’s ranking signals, which are composed of more than 200 factors, you need the right combination of strong online marketing elements to boost your business. Of course, a responsive layout is crucial—but let us go beyond that. 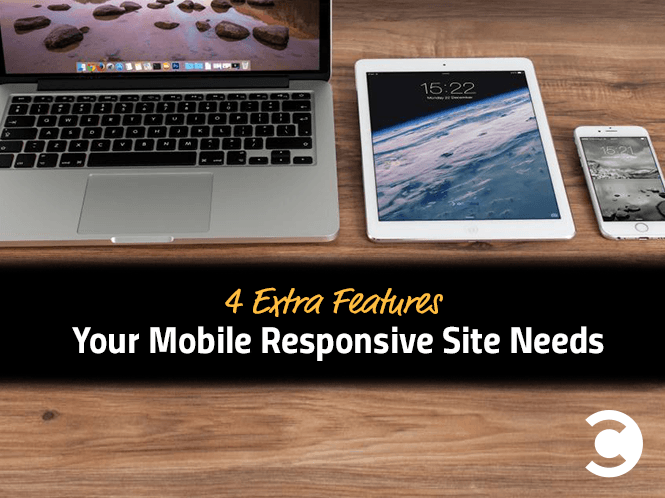 Let’s explore four other vital factors your mobile site needs to increase sales. Search engine optimization on-site factors include site speed, meta descriptions, title tags, and sitemaps to name just a few. Pay attention to these technical aspects if you want search engine bots to easily crawl your website. The more organized your SEO factors are, the better the chances of your site appearing on top pages of search results. For example: H-tags, which are placed on titles and/or sub-headings, add emphasis on important points in your content. A well-crafted meta description will help users quickly find out more about your web page. Site speed is vital to make users stay. Just a second of delay may cost you $2.5 million lost sales in a year! For local businesses, ensure all details like store hours, shop name, prices, and shop address are consistent throughout the web. Nothing is more frustrating to a user than finding out that your address on Yelp is different from that on your website. The good news about responsive design is that it automatically conforms to a device’s screen resolution. It’s like water transferred into different containers: It simply adjusts accordingly and still allows for a seamless experience. The bad news is that it contains the same content you have from your desktop version. So, unless you took the extra effort to edit your mobile version, this may illicit different reactions from your target market. 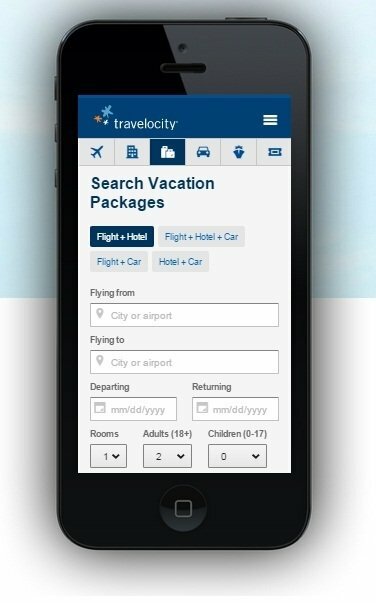 A good example would be Travelocity. The booking site looks alright on desktop as it features the booking tool, which is what most users are after. However, switch to its mobile-friendly version, and you will immediately see the difference. The responsive design has cut off the images, and their links below are particularly small. This could turn off some users because they expect clear, no-nonsense content on mobile. When preparing web elements for responsive design, think about the ones that will add the most value to user experience. Don’t just concentrate on putting everything above the fold—because in the digital realm, it doesn’t exist! Focus instead on how users will respond to what they see on their screens based on your design. This relates to your web design. Content is everything on your page, from your web copy, images, and videos, to calls to action. Having the right mix of interesting content users want to see is key to conversion. In one marketing experiment, LoyaltyReward.co performed a test on their responsive website versus a simplified version that offers a coupon. The latter actually increased their conversion rate by 55 percent. Why is that? It’s user psychology: The main reason people are on mobile is so they can get the details they need quickly. Heed their request and carefully analyze your responsive website for unnecessary content. If your website features plenty of text, for instance, try cutting out the redundant stuff. Don’t just settle for images when a video can be better. Rewrite your web copy to contain more actionable words. After that, test your website on an actual device. Don’t rely on tools! Although they will show you that your site is mobile-friendly, it will still look different based on the device where it is viewed. 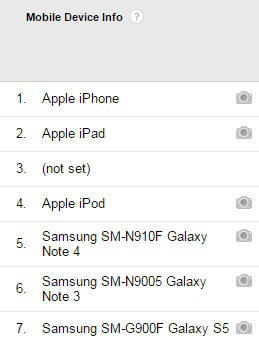 Find out the gadget that most of your market is using, and carefully choose the most appropriate content for them. Take the term “responsive” on a whole new level by putting it into REAL action. Starwood Hotels has being doing it since November of 2014, when they let their guests use an iOS app to unlock room doors, check-in, and even get directions to the hotel. You, too, can offer that one-of-a-kind experience that adds extra value to a user’s overall perspective of your business. Consider what your consumers prioritize (e.g. coupons, inventory info, store hours, etc.) and give it to them. When they land on your page, they should feel empowered, in control, and productive. Help them make their lives easier, and they will return the favor by returning to your site—hopefully, to make a purchase. Bonus Tip: What About Apps? Sometimes, a mobile-friendly website is not enough. If you need a faster way to connect with consumers without worrying about updating your site’s content every month, why not create your very own mobile app? Big and small companies have profited greatly from using apps to target consumers both locally and internationally. Domino’s Pizza is one success story, with their current app dominating both iOS and Android app rankings. In 2014, sales from their mobile app contributed about 35 percent to the company’s total revenue. Not bad for an app asking you to create a Pizza Profile. Connect your site’s content with your app using Google’s app indexing feature, and watch users come back for more. Nowadays, it’s not enough to be responsive. Take it further: Test boundaries and keep experimenting. Don’t be afraid to ask users what they want from you. Being “responsive” shouldn’t stop with your website—it should extend to everything else about your business.